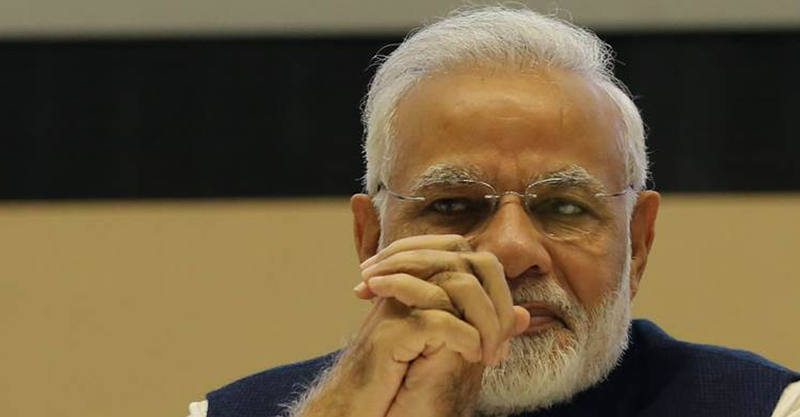 A woman campaigning for a separate Purvanchal state set a bus on fire here on Wednesday after she was allegedly stopped from meeting Prime Minister Narendra Modi during his recent visit to the city, police said. Vandana Raghuvanshi, secretary of the Poorvanchal Jan Andolan Samiti, went to the Varanasi bus stand at around 11 am and boarded a state-run Volvo bus that ran between the city and Lucknow, said Dinesh Kumar Singh, superintendent of police (city). She asked two-three passengers present inside the luxury bus to deboard, following which she sprinkled petrol inside and torched it, Singh said. Fire tenders were called in to douse the flames, but the bus was partially burnt. Raghuvanshi, who has been arrested, also distributed pamphlets at the bus stand that mentioned the demand for a Purvanchal state, Singh said. Speaking to reporters at the police station, Raghuvanshi said she had been demanding a Purvanchal state to be carved out of Uttar Pradesh. She wanted to meet Modi during his visit on Monday and Tuesday, but was stopped by the police. The woman said she had tried several times to meet Modi and Chief Minister Yogi Adityanath during their visit, but all in vain. Raghuvanshi added that she had sat on an indefinite hunger strike from August 15 to press for her demand. But the strike ended when she was forced-fed after he health condition worsened. The woman alleged that the media did not cover her agitation when she protested in a peaceful manner, adding that now her message would reach to Modi and Adityanath.